Selma is on the ground floor (90sqm)of a typical Mediterranean styled villa (450sqm) surrounded by the garden, among maritime pines, oleanders and honeysuckles. Selma apartment boasts three bedrooms, two bathrooms comfortably giving lodging to six (6) guests. There is a wide dining room, a cosy corner for the sitting room and the fire-place, a well catered kitchen and a shady patio with garden furnitures for enjoying meals. Besides, it is just a couple minutes walk from the sandy beach and only one kilometer from Gallipoli town, on the Ionian coast. 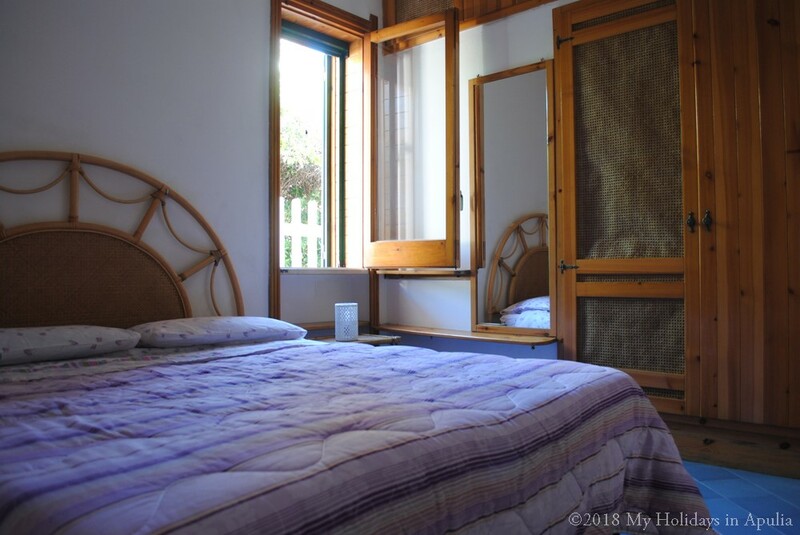 In June, to rent Selma apartment is per € 120 per night (€850 for one week). The price is all inclusive (gas, water, weekly change of bed linen and towels, cleaning at the end of the stay. Electricity is € 0,35 x kw ). It is possible to rent Linda apartment for no less than three nights up to 28 nights. In July, the total cost for renting Selma apartment is € 150 per night (€ 1060 for one week stay).